A Perfect Blend of Scholarship and a Heart for Ministry! Each volume, informed by the best of up-to-date evangelical scholarship, presents passage-by-passage commentary based on the NIV along with background information on authorship, setting, theme and various interpretive issues. A unique format focuses on the vital message of the New Testament for today's church, together with notes providing valuable scholarly information to support those who use the volumes as a resource for preaching or teaching preparation. Seldom have such readable commentary and reliable research helps been available in the same volume! Preachers, teachers, students and other individuals who want to dig deep into the heart of the New Testament will find an indispensable companion in the IVP New Testament Commentary Series. Acts — William J. Larkin, Jr.
Grant R. Osborne (Ph.D., University of Aberdeen) is professor of New Testament at Trinity Evangelical Divinity School in Deerfield, Illinois. He also serves as series editor for the IVP New Testament Commentary Series, for which he contributed the volume on Romans. He has also written on Revelation for the Baker Exegetical Commentary on the New Testament. Briscoe is a well-known speaker and pastor of Elmbrook Church in Waukesha, Wisconsin. Robinson is Harold John Ockenga Distinguished Professor of Preaching, Gordon-Conwell Theological Seminary. I always and only buy books that are trustworthy and would not go astray in doctrine. That said, what a great set of commentaries! I am grateful that I could purchase this commentary at such a low price. It is scholarly, but not over my head. I can use it to prepare sermons as well as do Bible studies. This will be one of my most useful resources to understand the New Testament. Maybe I shouldn't be as critical, but I have a lot of commentaries, and reference books from e-study, and on my shelves. There are others that I prefer, so I didn't feel that it was worth the money for me. To others, it may be just the right fit. As ever, ESS have made available an excellent study resource for well below the price of other providers. 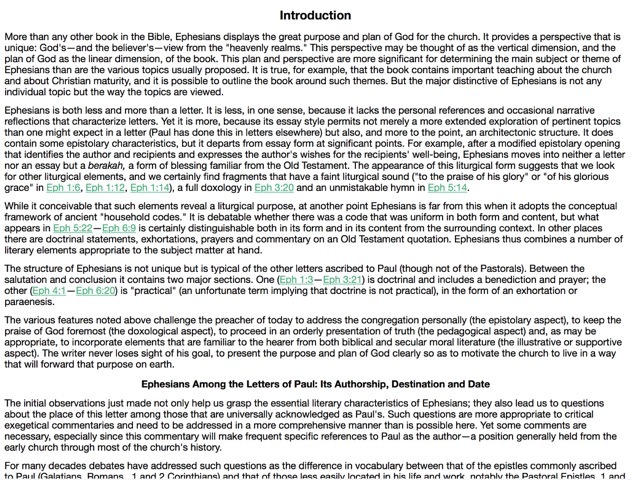 IVPNTC is a good balance of exegetical analysis and practical application. Easy to read and insightful, even if one doesn't agree with everything the commentator writes. It is helpful in this edition to have footnotes gathered together rather than inserted in the text as in the e-Sword version of NICNT. Hyperlinks to the footnotes would be really cool but I guess for the price we can't have everything! I bought this because it was on sale and the price could not be matched anywhere else, I was also looking for an overall commentary. I find it good to review others thoughts and ideas on a particular passage of scripture and find this commentary helpful. 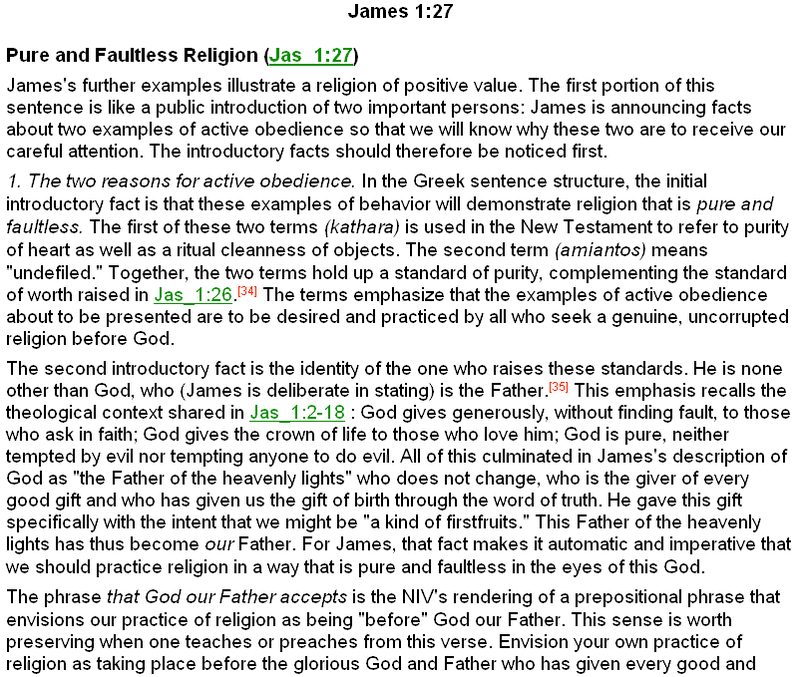 I use it not as a sole source but as a group of references to get the different opinions of what scripture is saying. I find this reference to be solid in its view of the bible even if I don't agree with all of it's viewpoints. The explanations are complete and well thought out. I have began to read the commentary in different texts of the Bible, and I am satisfy and thankful for this biblical material. Also, I believe that the price is very good for the value that it represent. Thanks for the writes, editor and e-Swrod for make available to all of us. The IVP New Testament Commentary is a welcome addition to my electronic library. Although it was a recent purchase, I find myself using it more and more. It a very solid and readable commentary. It is not so technical that you have to have a doctorate in theology to understand, but it is not a skimpy commentary either. You really cannot go wrong with this commentary set. It strikes the right balance between scholarship and thoroughness with readability. Well written in modern easy to read language but does not dumb down too much. Layout is a little difficult to navigate in e-sword to get to the section you desire but no too bad. The IVP New Testament Commentary is a good contemporary application commentary that I use in conjunction with the NIVAC series in writing lessons and studies with real-world implications. What it lacks in theological depth or linguistic analysis, it makes up for with direct pertinence in people's, especially younger people's, lives. I live in China where the availability of products for one to study the word of God is VERY limited, as always I find the sources for e-sword to be of the greatest importance. If you're reading this comment please think about how fortunate you may be to live in a country where you can access the word of God without restrictions. The commentary purchased is insightful and suited for in-depth study. Worthwhile purchase but I have a slight preference for the Preachers Commentary. Still would recommend. Broad coverage that's readily understood by the average person interested in a deeper understanding of the Word from a conservative viewpoint. Much less expensive than the same commentary on other Bible programs. Helpful. Insightful. Thorough. The Bible student will gain rich and new insights. I found the IVP New Testament Commentary to be very useful in my study of the New Testament. It's extremely informative and easy to read and understand. How about adding an IVP Old Testament Commentary?